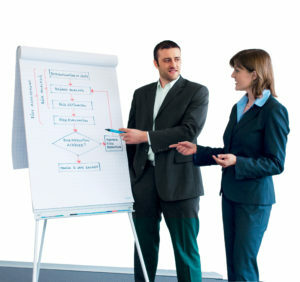 Although most manufacturing operations have an environmental health and safety (EHS) team that assesses and procures protective guarding for machinery to keep operators safe, it can be beneficial to bring in an outside resource with relevant industry experience to evaluate and make additional compliant safety recommendations. That’s why SICK’s Safety Solutions Team offers a portfolio of services to help customers determine and implement the optimum safety solution for their new and existing equipment that allows them to be both compliant and productive in their application. SICK’s Safety Solutions Team recently worked with a major global manufacturer of premium tires to help them improve operator safety around their dual tandem tire curing presses in a facility in the U.S. Although the tire manufacturer had a protective guarding solution for its tire curing machines in place at all of its facilities worldwide, an accident at an overseas location revealed an accessible area that had been inadvertently overlooked. After that incident, the tire manufacturer—who was aware of SICK’s expertise in engineering and supplying Safe Tire Curing Solutions—engaged SICK’s Safety Solutions Team to evaluate its approach to guarding its tire curing presses. The team provided several services to determine, engineer, and install a new safety system. First, an initial Risk Analysis and Assessment was performed. This service includes a review of the existing equipment as it is in operation to identify and assess potential hazards around the entire machine. Operators were interviewed to ascertain their biggest issues while utilizing and servicing the machine. Then, based on industry standards, a solution was recommended to ensure that the equipment has been guarded properly from all potential areas of access. In the case of the tire manufacturer, their previous guarding solution didn’t protect the entire machine. Further, when triggered, it shut down the entire machine—as opposed to just one of the two presses—halting that unit’s total output and slowing overall productivity on the line. This set-up had the potential to damage the equipment due to a sudden stop, as well as the concern that it was not cost-effective to the entire operation. Based on the insights gained from the analysis, SICK’s Safety Solutions Team moved to the Functional Safety Hardware and Software Design phase, focusing on functional safety engineering of the controls and their operation. For this tire manufacturer’s curing equipment, removal and replacement of the existing scanners with the Sim-4-Safety solution was recommended. Utilizing SICK’s Flexi Soft safety controller and S3000 safety laser scanner, the system provides zoned control that enables up to four protective fields to be monitored simultaneously. This means an operator can be loading a green tire on one side of the machine while the safety zone is activated on the other side; the system switches protective modes between the two sides to allow continuous operation and productivity, even if one side is stopped. In addition to laser scanners, SICK’s Safety Solutions Team recommended fixed mesh guarding for machine areas that are accessed infrequently, and interlocked guarding doors for areas requiring more frequent (but not regular) access to a given area of the equipment. After the proposed solution design was reviewed and approved by the tire manufacturer, the company added Installation, Validation and Commissioning services to complete their safety solution. The SICK team started with a pilot installation of four machines operating in a work cell pod, first wiring and programming the equipment and securing a combination of fixed mesh guarding and interlocked, sliding mesh panels along with the Sim-4-Safety zoned protection system. The installation process also includes comprehensive training of operators and the facility’s EHS team on the safety devices and how to reset them. All components were thoroughly tested to validate their safe, consistent and accurate operation. Once the tire manufacturer approved the pilot installation, the rest of the facility’s tire curing machines were scheduled for a sequential changeover to the SICK solution. To minimize disruption to their three-shift operation, SICK worked closely with operations managers to plan downtime for specific machines, as it requires approximately two days to complete the installation of each machine’s new safety system. Although the tire manufacturer has not yet added this service, SICK’s Safety Solutions Team also offers Routine Inspections of installed safety equipment to verify that all components remain properly calibrated. 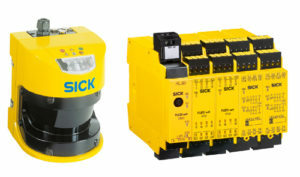 Offering extensive expertise in evaluating and assessing a variety of industrial equipment and machinery, SICK’s Safety Solutions Team has developed solutions for a broad range of applications. Their service offerings—Risk Analysis/Assessment; Functional Safety Hardware and Software Design; Installation, Validation and Commissioning; and Routine Inspections—can be obtained with or without the purchase of SICK’s safety products to ensure the safest, most cost-effective machine guarding solution for a given operation. For more information about SICK’s Safety Solutions service offerings, click here.